This winter I have been living off big pots of soup I make on a Sunday evening. 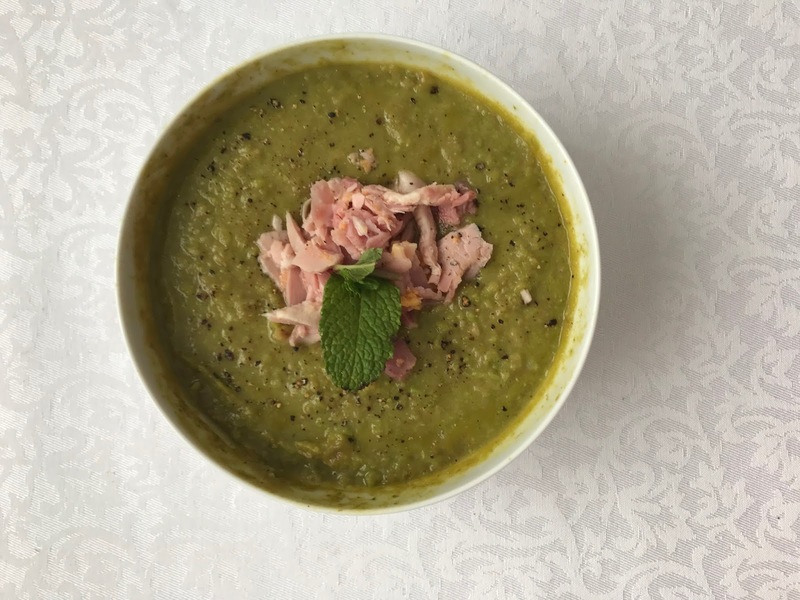 Lentil and Leek & potato were my go to for the Autumn months and the start of Winter but last weekend I decided to throw together a pea and ham recipe. It ended up a tasty winter warmer that all my friends and family loved so I decided to share it here. The first time I made the soup I used a ham hock which was really tasty but quite time consuming so buying some really nice thickly cut ham is just as good. I actually got a great quality package of thick cut ham from lidl for pennys. Enjoy! 1. Heat the butter in a saucepan and gently cook the onions and carrots until soft. Add the potatoes and coat in butter. 2. Add in the ham stock and let simmer for 20 minutes. 3. Add in the peas and mint next and bring soup mixture to the boil, and cook for 10 minutes. 4. Remove from the heat and blend soup up. 5. Add in ham if desired and serve up.